There is a bit of irony in the subtitle of this terrific book. Ehrman, chair of the Department of Religious Studies at UNC–Chapel Hill and author of several well-received volumes including Lost Scriptures and Lost Christianities, struggles with the very issue of how to separate history from legend, whether it can be done at all and whether it matters. He contends “it is often easier to know how the past was remembered than to decide what actually happened.” By shifting focus from the tales to the tellers, Ehrman enters the ongoing discussion of biblical literalism and reliability, insisting that we’re not arriving at satisfactory answers because we’re not asking the right questions. Drawing widely from history, scripture and extra-biblical writings, he studies the many stories of the lives of the first-century “Peter, Paul and Mary,” arguing that inclusion of some accounts in the canon should not elevate these texts above the others, some of which were accepted early on by the church but later excluded from the canon. As with his other works, Ehrman presents his case clearly and succinctly. So, are the biblical stories more reliable than those outside the canon? The answer, my friend, is blowin’ in the wind. (May). Copyright © Reed Business Information, a division of Reed Elsevier Inc. All rights reserved. Ehrman (Truth and Fiction in the Da Vinci Code) here examines discussions of Simon Peter, the apostle Paul, and Mary Magdalene in Scripture and other writings of the first few centuries. 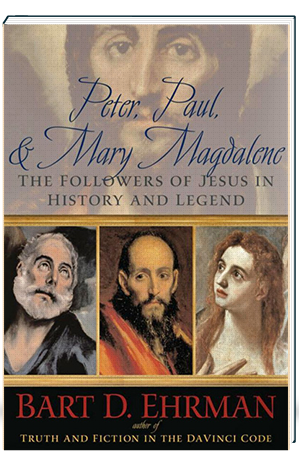 In attempting to determine which aspects of their lives are historically accurate and which are pure legend or have been embellished or misconceived, he provides intriguing information on these New Testament personages. 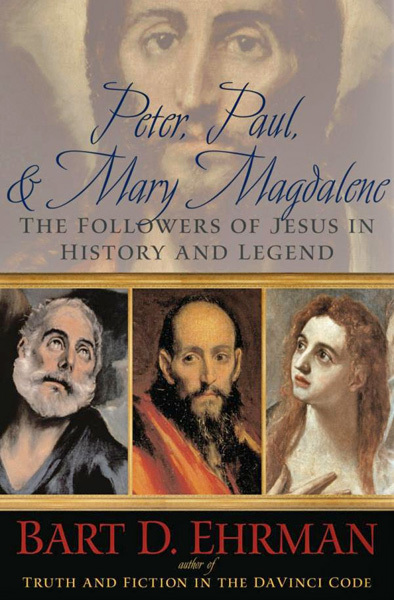 One will read accounts, for instance, in which Peter brings a smoked tuna back to life and in which Mary Magdalene travels to France to become an early missionary. Both stories are fictional but, Ehrman emphasizes, help show something of the ideas present in the early church period. This is particularly the case with Peter, whose status grows rapidly in these first centuries to the point where he becomes known as the first bishop of Rome. For nonspecialists, this book is recommended for public and academic libraries. John Jaeger, Dallas Baptist Univ. Lib., Dallas Copyright 2006 Reed Business Information.